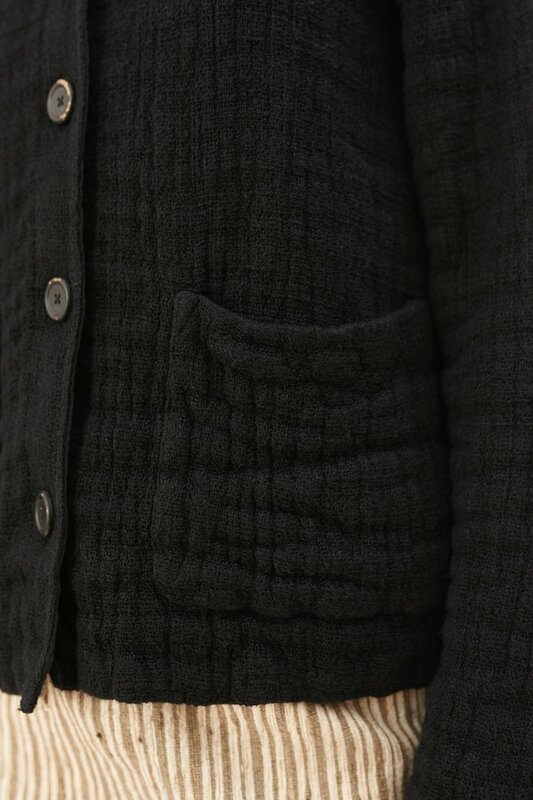 Our Weave Cardigan in Black Soft Sack. Produced in a textured linen blend Italian fabric, our womens Weave Cardigan has a relaxed boxy fit and features two front pockets and leather buttons. 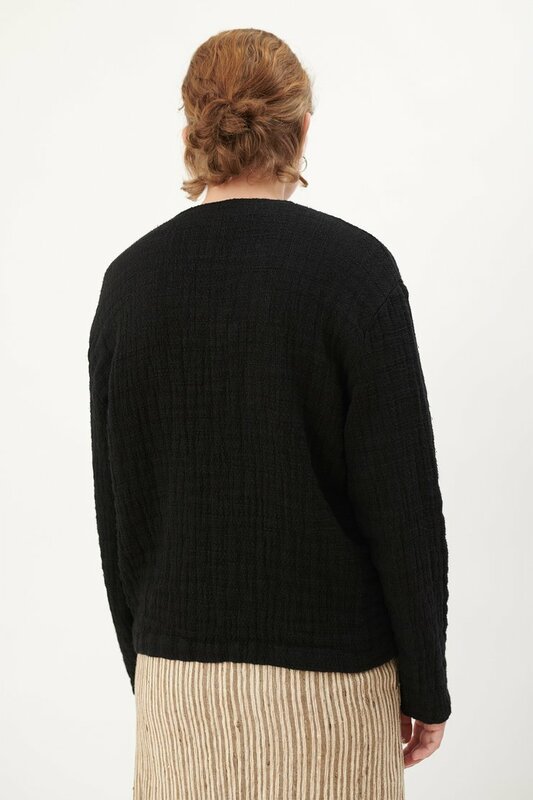 Our Weave Cardigan is true to size with a relaxed boxy fit. The model is 178 cm tall and is wearing a size 36.